Beautiful Vintage style Lucy comb. Also available to try on as a Headband in Ellie Sanderson, The Dressing Room. 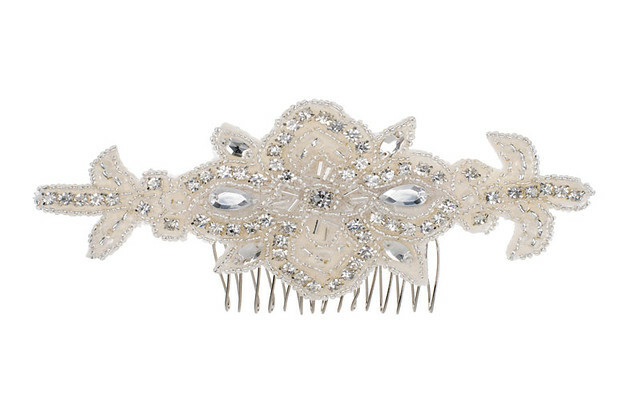 This hairpiece is covered in rhinestone crystals in a delicate design and set onto a silver hairband or comb. Click the 'Enlarge' button to see the 11cm comb.